Happy National Grilling Month. This month, Great Gear! Fridays are dedicated to the grill. 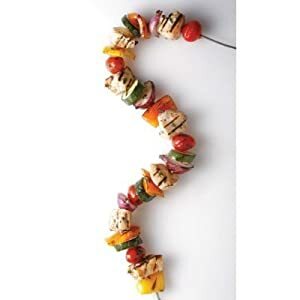 First up, our favorite find: Fire Wire Stainless Steel Flexible Grilling Skewers. We love the way these skewers make the most out of the Weber’s round grill. We’ve seen similar items on Amazon, at Sur La Table, and World Market.